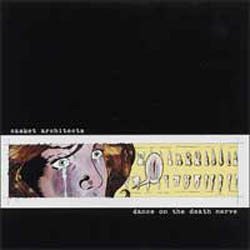 Casket Architects introduce themselves with the unruly and fiery , "Dance on the Death Nerve". CA plow through these twelve tracks of sonic mayhem, blasting in a frenzy in and out of Mistfits-esque witticisms, and impenetrable sludge rock much akin to the Melvins. Music for insomniacs and cemetery dwellers. FOR FANS OF AN ALBATROSS & THE LOCUST.